Most of us have experienced what it's like to know what someone is going to say right before they say it. Or perhaps you have been shocked by the irrefutable phenomena of coincidence, when your life intersects with another's in the most unlikely way. 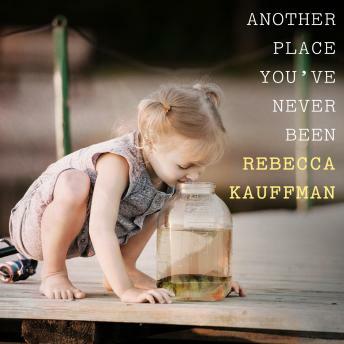 In gripping prose marked by stark simplicity, Another Place You've Never Been by debut novelist Rebecca Kauffman explores the intersection of human experience amidst the minutiae of everyday life. In her mid-thirties and living in Buffalo, New York (where she is originally from), Tracy spends most days at the restaurant where she works as a hostess, despite her aspirations of a career that would make use of her creative talents. Tracy's life is explored not only though her own personal point of view, but also through the viewpoints of other characters, wherein Tracy may only make a peripheral appearance or even emerge at different periods in her life. Kauffman subtly exposes the lives of these characters-alongside the presences of spiritually mysterious Native American figures that appear throughout-and gradually reveals the true purposes of both as their paths intersect.